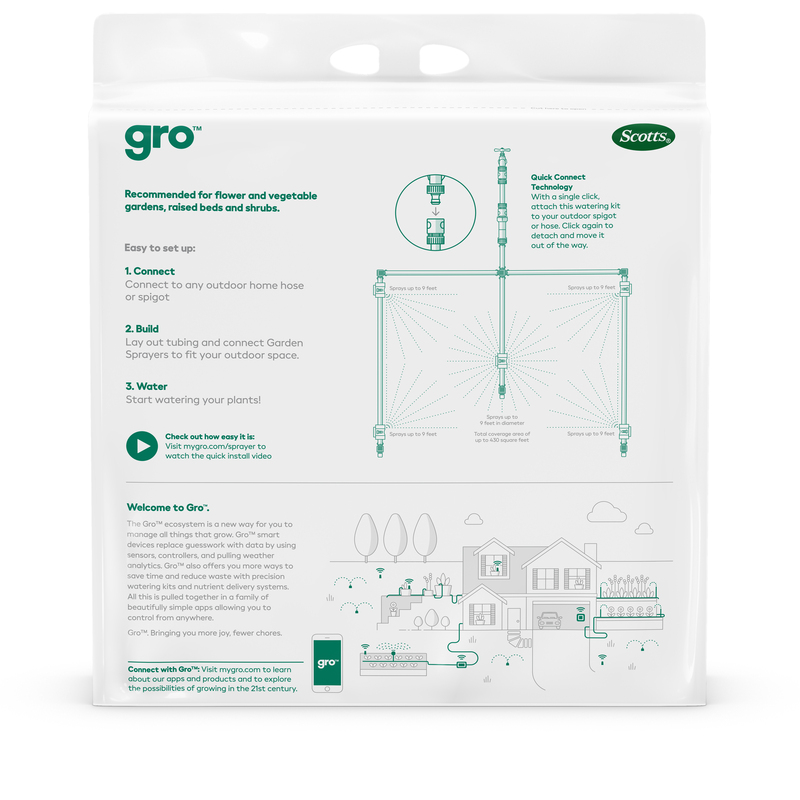 Gro™ is an easy-to-use system for precision watering with an elegant, discreet, flexible footprint that allows you to set-up once and water all season long. 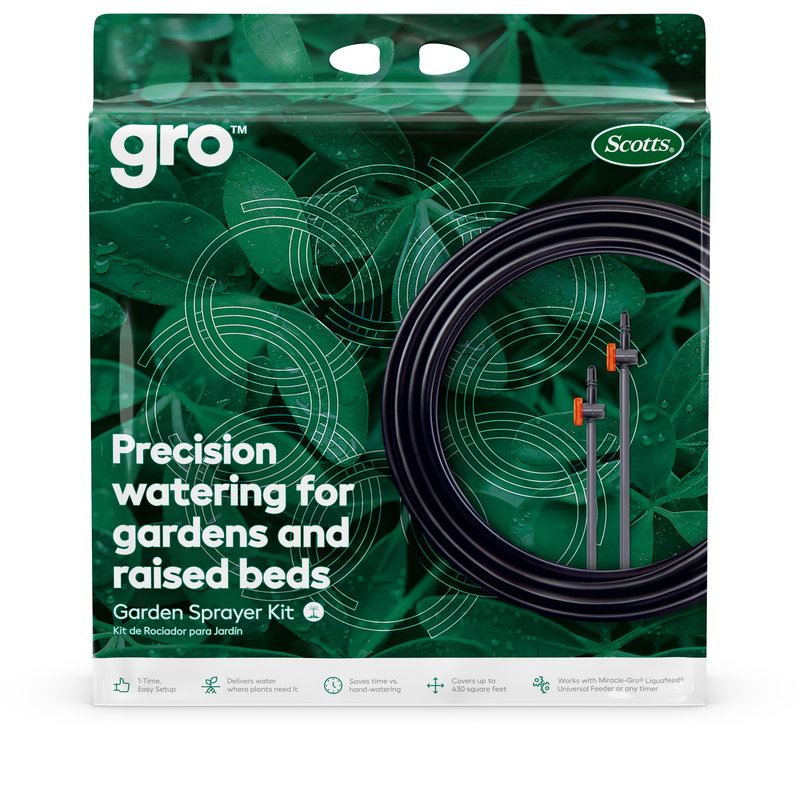 Perfect for raised beds and gardens, the Gro™ Garden Sprayer Kit provides a network of adjustable sprayer heads to make sure that, from root to canopy, everyone is covered. Never drag around the hose or a heavy watering can again. In just 3 simple steps you can save time, water and backache with hands-free, precision watering all season long. Covers up to 430 sq. ft.